SAN JUAN, P.R. (AP) — Puerto Rico’s governor on Friday canceled the designation of part of the island’s northeastern coastline as a nature reserve, opening the door to large-scale development along a white-sand beach where proposals for hotel resorts have sparked bitter protests. The order signed by the governor, Luis G. Fortuño, directs environmental authorities to evaluate 3,240 acres of public and private land and identify the most ecologically sensitive areas. Those sections would be preserved, while others could be opened to developers. Currently, only small, eco-friendly projects are allowed in the reserve. “There should not be any doubt that a nature reserve will be established here,” the planning board president, Hector Morales, said at a news conference. Conservation groups have fought to keep hotel projects out of the Northeast Ecological Corridor, which includes a beach fringed with tropical forest used by endangered leatherback sea turtles as a nesting area. Proposals for resorts rallied opposition from celebrities including the actor Benicio Del Toro and Robert F. Kennedy Jr., an environmental lawyer. Mr. Fortuño’s predecessor, Gov. Aníbal Acevedo Vilá, ordered the preservation of the corridor in 2007, and his administration had begun seeking financing to buy private parcels from their owners. But Mr. Fortuño faced pressure from officials, including the mayor of Luquillo, José González Ortiz, to open the region to development that would create jobs. Seeking the following crew members for an independent film to start shooting in NYC: director of photography and camera operator with knowledge of the Panasonic AG-DVX100A, production designer (who will serve as set designer and art director), makeup artist, hair stylist, sound recordist and boom person. Grips and production assistants too. Bilingual (English-Spanish) a plus. Experience necessary. Deferred payment. Bronx 3M is produced under the auspices of MediaNoche’s Digital Filmmakers Program and is made possible with the support of the NY Foundation, NYSCA, NYC Department of Cultural Affairs, Manhattan Borough President Scott Stringer, NYC Council Member Melissa Mark Viverito, NYS Senator Jose Serrano, and individual donors. 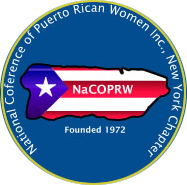 NATIONAL CONFERENCE OF PUERTO RICAN WOMEN, THE NEW YORK CITY CHAPTER, INC.
Tuesday, October 7, 8:30 a.m. – 4:30 p.m.
Transp: IRT 2, 4, 5, Bx1 & Bx19 to Grand Concourse & 149 St.
. . . a bilingual (English-Spanish) one-day seminar on the effects of development and globalization on traditional cultures in Puerto Rico focusing on the recent history of the coastal communities of Loíza and Piñones and the island of Vieques. The participants represent a cross section of leaders in the struggle for cultural and environmental survival: educators, cultural activists and advocates of alternative strategies for development. The seminar serves as an introduction to BomPlenazo 2008, the Hostos Center for the Arts & Culture’s biennial celebration of Afro-Puerto Rican culture. This year, the festival will focus on the bomba and plena music and dance traditions as they are practiced in the communities of Loíza and Piñones, two of the principal centers of Afro-Puerto Rican culture. Founded by runaway slaves and freedmen in the 19th century, Loíza and its neighborhood of Piñones, with their beautiful coastline and coconut groves, have become a symbol of cultural tenacity as many loiceños have bravely resisted development efforts that threaten their cultural traditions and the beauty of their communities. This seminar will also focus on the recent history of Vieques, the struggle to end naval bombing of the island and the implementation of a strategy for sustainable development. The island’s recent history, characterized by military and economic assaults, mirrors that of Loiza and Piñones. This seminar was made possible by a legislative initiative grant from the New York State Office of Parks, Recreation and Historic Preservation through the offices of New York State Assemblyman José Rivera. It is an integral part of the Hostos Creative Campus Project, a collaboration between the Hostos Center for the Arts & Culture and the Hostos Community College/CUNY Humanities Department. The creative campus project has been funded by the Association of Performing Arts Presenters Creative Campus Innovations Grant Program funded by the Doris Duke Charitable Foundation. AT info@prdream.com OR CALL US. MediaNoche is a project of PRdream.com. Its programs are made possible with the support of NYSCA, DCA, Manhattan Borough President Scott Stringer, NYC Councilwoman Melissa Mark-Viverito, NYS Senator José M. Serrano, NYS Assemblyman Adam Clayton Powell IV, and others like you! View the webcast at blogtv.com at 3PM on Saturday, November 15! Bandleader, percussionist Manny Oquendo passed away March 25, 2009 of a heart attack. A self-taught musician, Oquendo was a senior statesman of the Latin percussion instruments of timbales and bongos before founding and co-directing the critically acclaimed Latin music band, Conjunto Libre for more than 35 years. A member of the seminal recording “Grupo Folklorico Experimental Nuevayorquino” Parts I & II, Manny Oquendo was known for his understated yet aggressive solo improvisations on both the timbal and bongos. His was not a race as to who could play the fastest, or who could do the most paradiddles, excessive drum rolls or “contra-clave,” Manny Oquendo’s style was a school in and of itself. “The Timbalero must always keep the beat,” he emphasized in interviews. “Never overplay,” was his most consistent rule. His style was found in the roots of Cuban bands such as Arcaño’s or Orquesta Aragon, never flashy, never overstated. For influence and inspiration he looked to the drummers of the vintage Cuban bands such as bongocero, Ramón Castro, who played with the Orquesta Casino de la Playa and later with Pérez Prado or Conjunto Casino’s Yeyito Iglesias or Papa Kila (Antolín Suárez) who played with Arsenio Rodríguez or Sonora Matancera’s Manteca (José Rosario Chávez). Manny Oquendo was known by what he said on the timbal, not how many things he could do to it. For more than 60 years, Manny Oquendo’s said many things through his percussive strength and musical vision. His profound yet understated sounds were part of the Latin New York music scene from the ‘40s until today. Born José Manuel Oquendo on South Fourth St. Brooklyn, he was called “Manolo” before he became “Manny” in his teens. 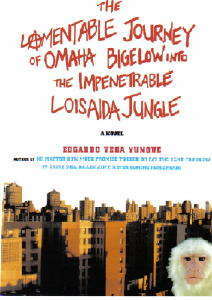 The family later moved to East Harlem in 1939 where Oquendo was captivated by the sounds of music. “Music was everywhere,” he recalled. East Barrio’s first Latin music record store “Almacenes Hernandez” (originally located at 1600 Madison Avenue and opened in 1927) was just one flight down from the Oquendo family’s apartment. The swinging big bands of Machito, Jose Fajardo and Orquesta Aragon became the soundtrack of his childhood. “There was music constantly coming out of that store, and that was my education,” he recalled. His first set of drums were a pair of “tom toms” with the skin on both ends. Played with sticks from a wooden hanger, Manny played along to records from his parents’ victrola. Spanish language radio stations were always on in his home. Later, when Oquendo visited his parent’s roots in Ponce, he discovered the cuatro through his grandfather. After the “tom toms,” Oquendo got a pair of wooden timbales and began playing with Sexteto Sanabria but not before taking a few drum lessons at a school on 125th Street at 25 cents per lesson. Later on, he studied privately with Sam Ulano, a well-known percussion teacher. Jazz drummer Max Roach also studied with Ulano alongside Manny. Whenever they’d run into each other they’d reminisce on their school days. Oquendo always kept his set of trap drums. By the 1940s, the Oquendos moved to Kelly Street in the South Bronx unknowingly joining a community of likeminded musicians. Pianist, Noro Morales lived down the street from Manny on Stebbins Ave.; Joe Loco was by Horseshoe Park; Tito Rodríguez was on Rogers Place; Tito Puente on 163rd Street, while Arsenio Rodríguez and Ray Coén both lived on Kelly Street. Oquendo began playing with New York’s top orchestras. He played with the Carlos Medina Orchestra, the Charlie Valero Band and Xavier Cugat’s former singer Luis del Campo before playing with the legendary Marcelino Guerra Band. From here Oquendo played with trumpeter Frank Garcia and his vocalist, El Boy, where he met Chano Pozo who performed with Miguelito Valdes at a local show and stayed to play with the fledging timbalero. Chano remained with the small group until he got a better paying job. Oquendo moved on as well, joining pianist Jose Curbelo’s orchestra where he performed on a full array of drums owing to their diverse repertoire that included tangos, sambas and American swing music. “It gave me the feeling of being a complete drummer.” He mentioned in an interview to Frank Figueroa over Latin Beat. From here, Manny Oquendo joined Pupi Campos’ band playing many venues on Long Island alongside Tito Puente and his Picadilly Boys. Since they were both working in the same area, Tito and Manny would ride together to their respective gigs with Manny playing in Tito’s band as he waited for his own show to begin. When Tito’s regular bongocero Chino Pozo left to tour with Katherine Dunham, Tito asked Manny to take over that chair. When Little Ray Romero took a job with Eartha Kit, it was Manny Oquendo who Tito Rodriguez called to fill his bongo chair. Manny had his Afro-Antillian chops chiseled under the bands of Tito Puente, Tito Rodriguez, Johnny Pacheco and others. He had hung with the legendary Chano Pozo, taking the Musician’s Union cabaret license test for him enabling Pozo to work in New York clubs during his stay between 1946 –’48. By the 1960s, everything Cuban was forbidden. Manny listened to the Mozambique sounds of Pello El Afrokan over short wave radio and on pirated records. Back in his apartment on Kelly Street in the Bronx, he’d practice hitting the timbal with the left and playing the rhythm on the right until he nailed the Cuban genre so well he made it his own. In 1963, Manny Oquendo joined “La Perfecta,” the conjunto organized by pianist Eddie Palmieri. Alongside congüero, Tommy Lopez, Manny crystallized the Mozambique sound creating a powerhouse rhythm section alongside Palmieri’s improvisational infrastructure. In 1974 Oquendo and bassist Andy Gonzalez left Palmieri to move in their own direction. Leaving the traditional structures behind, the duo incorporated jazz, Afro-Cuban, Afro-Puerto Rican rhythms while exploring alternatives. The goal was to “free” the music from restrictive content and Libre was born. During 1976 to 1981, Oquendo became a musical historian of the tipico sound he’d perfected with Palmieri. Libre’s first albums included classics by composers Ignacio Pineiro, Rafael Hernandez and Nico Saquito, as well as a traditional Puerto Rican plena by Manuel “Canario” Jimenez. At the same time, the group attracted a creative crop of innovative young artists in Latin music. The Gonzalez brothers, Andy and Jerry Gonzalez are founding members; Alfredo de la Fe is featured on various incendiary violin solos with singer Herman Olivera making his recorded debut over a Libre recording while flautist Nestor Torres was also a featured guest. At various times, Barry Rogers, Jose Rodrigues, Angel “Papo” Vazquez, Jimmy Bosch, Reynaldo Jorge, Dan Reagan and Steve Turre held down the trombone line, while Oscar Hernandez, Joe Mannozzi, and Marc Diamond rocked the piano chair. Last year, Puerto Rico’s Radio Station, Z93 dedicated its National Salsa Day to Manny Oquendo. Manny Oquendo is survived by four sons and two sisters. According to Manny Oquendo’s wishes, there will not be a viewing. We will post any information regarding a memorial in the future. Twenty-first century Renaissance woman Aurora Flores is the recipient of numerous awards and is included in Who’s Who in Hispanic America. Currently the President of Aurora Communications, she was the first Latina editor of Latin New York Magazine and the first female music correspondent for Billboard Magazine. While attending Columbia’s Journalism School, she broke into mainstream journalism and today has thousands of articles to her name. A musician by training, Aurora founded her own septet, Zon del Barrio, bringing together modern music genres, Afro-Boricua folklore and Afro-Cuban salsa. She lectures on Latin music, has composed bilingual songs for Nickelodeon’s “Dora the Explorer,” and recently edited and wrote the foreword for ¡Salsa Talks! A Musical Heritage Uncovered. Aurora can be seen in BET’s Pasos Latinos; BRAVO’s “Palladium, When Mambo was King;” the Smithsonian’s “Latin jazz, La Combinación Perfecta;” and in Edward James Olmos’s “Americanos: Latino Life in the U.S.” alongside the late Tito Puente, playing a composition she co-wrote. She is a proud descendent of Puerto Rican visionary, Eugenio Maria de Hostos.